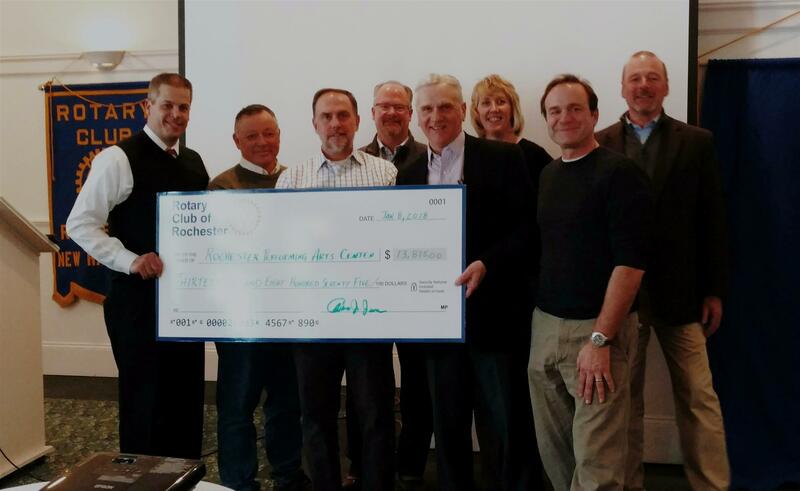 The Rotary Club of Rochester, New Hampshire recently made a donation of $13,875 to the new Rochester Performance & Arts Center in downtown Rochester. $8,750 of these funds were raised at the Rochester Rotary Pro-Am Fall Classic Golf Tournament last September, while the Rotary Club added an additional $5,000 onto the donation. The Rochester Performance & Arts Center held their grand opening this past September and is a not-for-profit arts initiative that combines studio and performance space, an art gallery and arts and educational programming for people of all ages. To learn more, please visit www.rochesteroperahouse.com.